Rohtak (Haryana): BJP chief Amit Shah on Thursday said Prime Minister Narendra Modi's letter to Pranab Mukherjee on his last day as president had set an example about the kind of respect and behaviour that should be shown towards the person holding the highest constitutional office. The letter was shared by the former president on Twitter on Thursday. Shah said Modi's letter spelt out the bond between the two leaders from different political ideologies and was an example of how by rising above party lines, the prestige of the highest constitutional post could be enhanced with mutual respect. "I read the letter after it was shared on the social media. Modiji is emotional by nature. 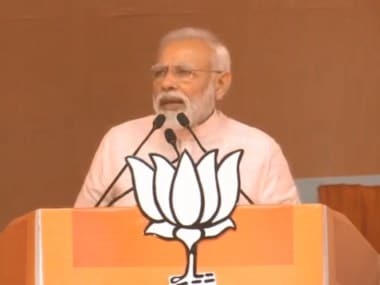 But, the way he praised Mukherjee in the letter, I believe that in the coming decades, the kind of respect and behaviour a prime minister should have towards the president, Prime Minister Modi has set an example in this regard," he said at a press conference in Rohtak. Shah also said, "The prime minister has always been of the belief that the prestige of the highest (constitutional) post should be protected and enhanced. Today, a good example has been set in the country's politics (over the PM's letter)". "Pranab Da, you have always been a father figure and a mentor to me," an emotional Modi had written in the letter to Mukherjee. Modi responded by saying, "Pranab Da, I will always cherish working with you." 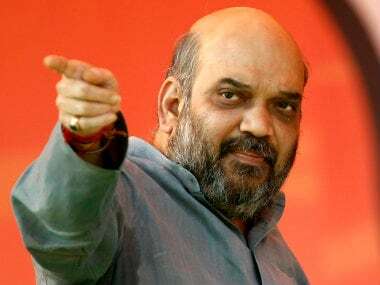 Shah said "after the country's Independence, an example has been presented by Pranab Mukherjee ji and Modi ji", that if two persons occupying highest posts in this country, and within ambit of the constitution, respectfully work with each other, then how it enhances prestige of the two posts. "Pranab Mukherjee was never associated with the BJP. 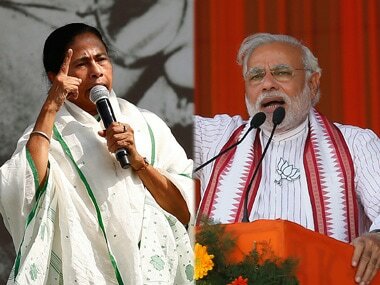 However, after becoming the president, when the BJP government was formed, neither the prime minister ever felt that Pranab Babu was not connected with the BJP nor Pranab felt that this government was of some other party," he said. The BJP national president, arrived in Rohtak on Wednesday on a three-day visit to Haryana. With an eye on the 2019 Lok Sabha polls, he is on a countrywide tour to strategise and find ways to strengthen the party at the grassroot level. 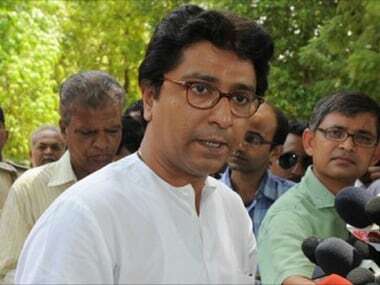 He also hit out at the Congress for stalling the OBC Commission Bill in the Rajya Sabha saying it shows the anti-OBC mindset of the opposition party.